When you think of hiking in Arizona, I bet most of you picture tumbleweeds blowing and hiking in 100°F+ temperatures through the desert in search of water. You might be surprised that Arizona isn’t a barren landscape where you’re sure to discover the secret location of Jimmy Hoffa’s body – okay, or more likely a dead cow. As an avid hiker who hiked over 2,000 miles on 200+ hikes while we lived in Arizona, Jen would definitely say I’m an expert on the best ones. So here is my list of the top 10 Arizona hikes that will have you heading to REI and planning your next trip to Arizona. Camelback Mountain in Phoenix, AZ. Anyone familiar with Phoenix certainly has spotted Camelback Mountain while driving around town. The hike starts from Echo Canyon Trailhead and doesn’t kid around before if starts climbing. The climb to the top gains 1,264 feet in 1.2 miles and a lot of that is going from one large boulder to the next. This hike is not for beginner hikers. The best time of day for the hike is early morning or at least an hour before sunset to avoid the peak heat of the day. Leave yourself about 2 hours for the hike round trip. About an hour east of Phoenix, you’ll find the Superstitions Mountains and the Lost Dutchman State Park. From the Siphon Draw Trailhead the hike begins a gradual climb up a wash. Once you reach the base of the mountain you will follow a well used path, but pay attention because it can still be hard to follow. The climb can be steep with loose rocks, so be careful and pay attention to what’s going on around you. After 2.5 miles and 2,400 feet elevation gain you’ll find yourself near the top. There is a large outcropping called the Flat Iron that is nearly the size of a football field. Head to the tip of it for some great views. From Flat Iron, you can see the Four Peaks Wilderness to the north, the vast Superstition Mountains to the east, and Phoenix to the west. You won’t ever forget a sunset viewed from the top, but I wouldn’t recommend climbing down at night. The minute I read some accounts of the challenges that Browns Peak and the Four Peaks Wilderness Area provide, I was immediately hooked. Just getting to the Lone Pine Trailhead can be an adventure in and of itself. The turnoff for the trailhead is about an hour north east of Phoenix, but the last 20 miles are down a dirt road which I would not recommend for cars. Once at the trailhead you’ll most likely be greeted by a cool breeze and the smell of pine trees. The hike starts off with a gentle incline as it winds its way though the forest. After about an hour you’ll reach Lone Pine Saddle. From there, just head for the crack in between the first two peaks and start climbing. Be cautious for loose rocks and keep your footing. There are a few spots in the chute that you’ll need to use your hands and do a bit of climbing. 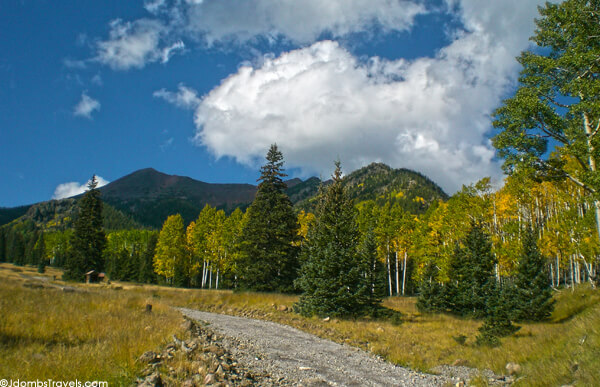 Once up top you can enjoy panoramic views as far as the snowy peaks in Flagstaff on a clear day. Spring and Fall are the best time to hike here. The peaks can be covered in snow in winter and it is rough hot terrain in summer. I’m not going to lie. The Bright Angel Trail isn’t my favorite hike in the Grand Canyon. What I will say is that it was the first trail I ever hiked there and got me started on a few years of hiking in the Grand Canyon that covered over 500 miles in the process. The trail down to the Colorado River runs 9 miles each way and drops 4200 feet from the South Rim to the Colorado River. In the warmer months there is water available at the 1.5 mile and 3 mile rest houses (distances from the rim). Water is also available year round at Indian Gardens 4.5 miles from the rim. In winter, the upper few miles of the trail can be covered in snow and ice and some form of crampons are highly recommended. In summer temperatures can range from 40°F on the rim to over 100°F in the inner gorge along the river. There is camping available at Indian Gardens, as well as Bright Angel Campground. For all backcountry camping you will need a permit. For those experienced hikers in great shape it is possible to hike from the rim to the river and back in the same day but the National Park highly recommends against that. I’m sure you’ve seen the amazing pictures of turquoise waterfalls in the Grand Canyon and thought it may have been photoshopped. But I can assure you these waterfalls do exist and they are just as amazing as you see in the pictures. 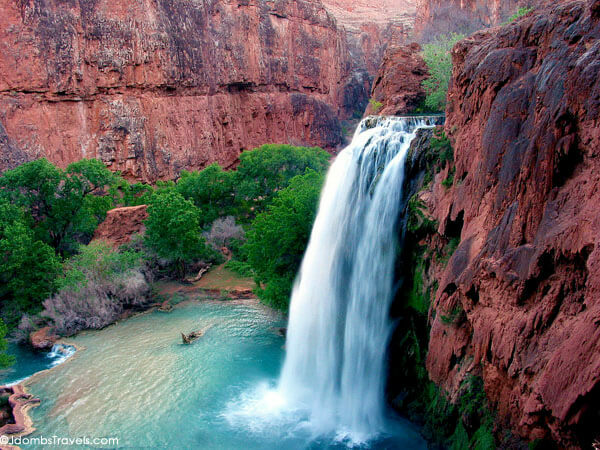 The waterfalls lie within the Havasupai Indian Reservation and you do need a permit for hiking and camping there. From the trailhead it’s an 8 mile hike into the small village of Supai and then another 2 miles to the campground. It’s all down hill from the car, but remember that you’re going to need to climb back out of that canyon in a couple days. Currently it’s $40 for the hiking permit/environmental fee and $17 per night for the campground. That’s probably a bit more than you’re used to for a campground, but believe me that the views will more than make up for the fees. I recommend at least 2 nights to be able to visit all the falls there. Beaver Falls is about 4 miles downstream from the campground and will take half a day to get there and back. When you picture hiking near Tucson, Arizona, you probably don’t think of hiking through pine trees up a 9,453 foott mountain. Mount Wrightson is located in the Santa Rita Mountains just 40 miles south of Tucson. My favorite hike on the mountain is to make a loop by taking the Old Baldy Trail up and coming down the Super Trail #134. It makes for a 12 mile hike with a 4,200 feet of elevation gain. The best time of year to go is spring and fall, as summers can be too warm without hiking in the dark. Winter can also bring sudden snow storms like the one in November of 1958 in which six boy scouts lost their lives after getting separated and a few feet of snow fell in a matter of hours. Also be warned that the area has been known to be used by drug smugglers and immigrants. Though I have never come across them there, you can clearly see trash being left along the route that is not from other hikers. Another Tucson favorite of mine is the Finger Rock Trail to Mount Kimball in the Catalina Mountains. The thing I love about this trail is that it doesn’t kid around; it starts climbing in the desert hills on the edge of Tucson and just keeps going until you get to the top. The trail gains 4,200 feet of elevation in just 5 miles to the top. It’s a steady grade that doesn’t let up. Once you reach the top you’re rewarded with great views of the surrounding mountains. If you can’t tell by now, I’m a fiend for elevation gain and this trail does just that. A list of the top 10 Arizona hikes wouldn’t be complete without climbing the highest mountain in the state. If your short on time, then give the Humphrey’s Summit Trail a shot. It starts at the Arizona Snowbowl Skiing Area and gains 3,300 feet of elevation over the 5 miles to the 12,633 foot peak. The summit trail will take you about 6 hours to complete. Another option is to take the Inner Basin Trail which I find much more scenic and more of a gradual grade as well. In fall you can’t beat the beauty of the aspens as they change color. The Inner Basin Trail is a little longer at 7 miles each way and gains 4,400 feet from the car. On a clear day you can see all the way to the north rim of the Grand Canyon. The best time of year to go is the fall when the trees are changing, but you can hike all summer as well once the snow melts enough to see the trail. If you’d like to beat the heat of Phoenix but aren’t ready to tackle the 12,000 foot Mount Humphrey’s, then give Kendrick Peak a shot. The trailhead is reachable by car with some careful driving down 7 miles of dirt forest roads. Be careful after heavy rain as the road can get a bit muddy. The trail gradually climbs through the forest and comes to an old fire lookout cabin that was built in 1911 and makes a great place for a snack before tackling the summit. At the peak stands a fire lookout tower that is manned in the summer. The attendants in the summer are usually happy to let people checkout the tower and take in the view from the top of it. They even had a dog bowl with water for the pups and Emma had a drink. The trail is 8 miles in all and gains 2,640 feet to it’s 10,418 feet peak. This also happened to be the first 10,000 foot mountain that Jennifer ever climbed. She’s since tackled the Ghorepani trek in Nepal. I can’t leave out one of the most beautiful areas of the state which surrounds Sedona. While much of Sedona is covered with tourist areas, if you head a few miles out on a trail you can escape some of that and just soak in the beauty of Oak Creek Canyon. The West Fork of Oak Creek Trail #108 winds a few miles down to the creek and crosses it numerous times. At about 2 miles is where most tourists turn around. This is where the real beauty begins as you hike up the creek. You’ll want some shoes that you don’t mind getting wet since as you hike up the creek you’ll need to wade through some pools. The further you go, you may even be able to do some swimming. The beauty of the red rocks and golden walls just bounce off the still pools in the canyon. Hike in as far as you like and turn around and head back. Again, this hike is best enjoyed with fall colors but you’re guaranteed to find year round beauty here. Hiking can be dangerous (have you watched 127 Hours?!). Please be prepared for each hike that you attempt. Information provided here is meant to peak your interest in a hike and I highly recommend further researching each hike. A great research tool for all the trails I’ve mentioned is Hike Arizona. You can find detailed information on each trail as well as GPS routes and a community forum if you have any questions. All of the hikes mentioned here are meant for serious hikers in search of a challenge; these aren’t just “walks in the park”. Wow, breathtaking scenery! I’ve always wanted to visit Arizona but never really thought of it as a hiking destination. Thanks for enlightening me! Arizona has a little bit of everything. Sports, Cities, Nightlife, Mountains, Canyons, Desert, Hiking. It’s worth a look one day. Tim, we are going to the Grand Canyon and staying in Sedona. 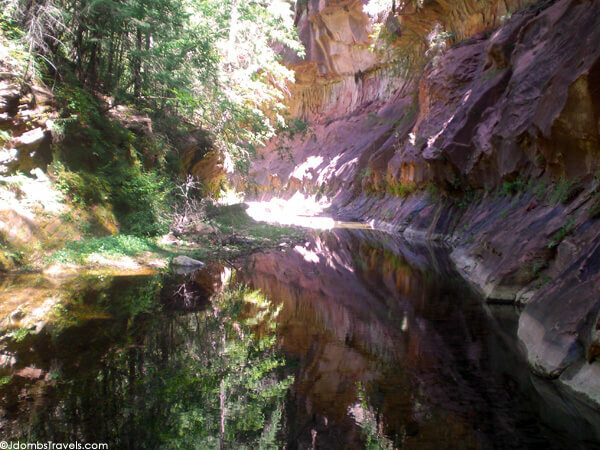 We love to hike in Sedona, but need a fairly short easy hike in the Grand Canyon. My husband’s knees aren’t too good. We thought about going to the first water stop at 1 1/2 miles and turning back at Bright Angel Trail. You mentioned it’s not your favorite. Do you have another you could recommend? We did the rim hikes last year. I’m going to be in Arizona this November and am going to be in Scottsdale for some courses. I am bringing my fatbike and have 4 free days to hike/bike anywhere in Az that I can drive to. What would be your recommendations for biking intermediate trails? And possibly hiking as well? e.g. Can I bike to the Havasupai Falls? Or any of the other hikes you have mentioned? We’ve always wanted to visit Havasu – actually got a camping reservation there only to have the flood (a few years back) happened a week later. Talking about bad timing. I had a trip planned that year as well. I haven’t made it back after the flood but I’m sure it’s almost back to normal now. Nature certainly does what it wants. This is quite an interesting and useful selection! There are definitely many places to visit in Arizona! Havasu Falls would be my pick! Gorgeous…. Very nice would love to visit some of these amazing places! Great photos Jen! I always love a good hike, really like this post! Arizona, my favorite state for some reason. I haven’t had the chance to visit yet, but I’m dying to go there. Great tips and wonderful photos! Wow, gorgeous scenery! I’m more and more into hiking these days. I would love to explore Mount Humphrey in the fall. Beautiful scenary! Arizona will be one of the first places in the US I wanna go (but nothing planned yet). I’d so much love to see Grand Canyon, Antelope Canyon and so much more! Thanks for sharing your Top 10 hikes, I will keep that in mind. The Grand Canyon is definitely worth a visit, make sure to leave your self at least a half day to hike down it a bit. I never did make it to Antelope Canyon unfortunately. I have never been to Havasu Falls. Happy hiking in Arizona. Really great post, I’d love to visit them all but if I had to choose one then it would be Havasupai Falls. Flat Iron is an amazing hike. Was passing by this morning … check out the amazing sunrise! Awesome list! I’ve never been to Arizona, but hiking the Grand Canyon and Havasu Falls are on my bucket list. Well we’re glad you’re okay! 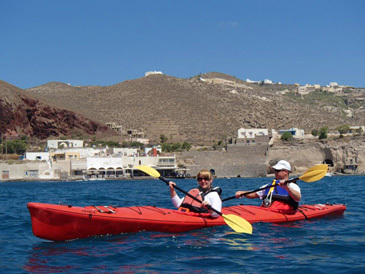 Always take precautions when heading out for outdoor adventures no matter how experienced you are. You never know when something could go wrong. I live in Phoenix and I have hiked 8 of these trails. These are excellent places to hike and experience the beauty of Arizona. In addition to Bright Angel Trail at the Grand Canyon, the South Kaibab Trail is a quintessential Canyon experience. We are planning to hike Mt. Kendrick later this month and looking forward to that. I would say that the most physically challenge hikes in your list are Browns Peak and the Flat Iron. They are amazing adventures but not for the person who is an occasional hiker or who is not in shape. Any hike you undertake in the Phoenix area will be brutal in the summertime. Be aware of the weather and your physical limits. Thanks for the shot-out to AZ. Hi Karen, that’s great you’ve been able to hike most on this list. Mt. Kendrick will be great now, just get an early start before any afternoon weather can move in. Pretty good list with the exception of Camelback, which is a horrible hike for at least a dozen reasons. From Phoenix you’d be infinitely better served going out to Weaver’s Needle or Tom’s Thumb or just getting drunk and wandering around an abandoned parking lot until dehydration and heat stroke liberate your soul from its stifling corporeal form. Great list. More to consider: Devil’s Chasm, Picket Post, Superstition Peak 5057 via Carney. I like scrambling, so Siphon Draw to 5024/Flat Iron is still my favorite hike, which I do 4 times a month, and will attempt 3x in one day later this year. Most people stop at Flat Iron, but continuation up to Peak 5024 gives a much better view of everything, and only adds 15-20 minutes. Difficulty level of most hikes has a lot to do with pacing. Camelback round trip at 90% HRmax is hard no matter who you are. Back off the pace and do it in 6 hours then it will be a very casual hike for most people. Anyone who visits me from out of state, no matter how out of shape they are, I’ll bring them with me to Camelback. Some great suggestions there. One of my favorites is the Superstition Ridgeline, you get to do peak 5024, and Superstition Peak as well. It’s best accomplished with a group so you are able to shuttle cars around. Good point about difficulty, I think that is why it’s important to get an early start on some of these longer hikes. You can beat the heat a bit and take a more leisurely pace. Slow and steady wins the race comes to mind. I’ll need to check out the Superstition ridgeline for sure! Maybe in November. Going out to Bear Mountain 54 in Sedona this Sunday. If anyone wants to join, let me know! We’re carpooling from the East Valley at 3am. I highly agree with your list. If there was a Top 11, I would suggest Picacho Peak! I always love hiking whether how terrain the place is or what, as long as I am being accompany with my family and friends, everything is fun and memorable. Great article! Getting ready for a 2 week trailer camping trip into Arizona in October – our first. We like isolated dispersed trailer camping and big day hikes. Any recommendations? October is a great month for camping in AZ. You’ll have great fall colors in the mountains and the temps are nice and cool in the mountains. You should be able to find a secluded spot near Flagstaff, try near Kendrick Peak or the North side of Mount Humphrey’s near the Abineau Bear Jaw Loop. There is actually some decent camping near the Grand Canyon as well. From Flagstaff drive to Tusayan (the town just outside of GCNP). There is a forest road (FR302) just before you hit the town and you can open camp. If you want to checkout the canyon you can usually drive in early in the morning before he park opens and avoid the $20-30 entrance fee for the park pass. If you’re in the Tucson area you could head toward the Rincon mountains. I’m sure there is plenty of camping in the white mountains as well, I haven’t explored that area much though. 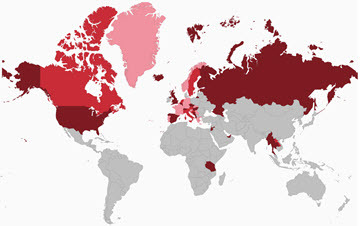 If you narrow down your search a bit I may be able to provide more into. Also http://www.hikearizona.com is a great reference with a very active forum that could answer about any question you have. It’s probably the best hiking site I’ve ever came across. Good luck and enjoy Arizona! How is the weather in January for hiking? I have a 1 year old with me. Although I didn’t go to the top of Flat Iron I got the chance to explore a good amount of the Superstition Wilderness this January and it was gorgeous!! After that I went to the Grand Canyon and hiked down the South Kaibab Trail, stayed the night at Bright Angel Campground and then hiked back up the Bright Angel trail. Love love loved it! Havasupai is definitely next on my list, Arizona has so much great hiking to explore! Unfortunately Havasupai falls pricing has gone way up. It is now $100 per night Mon-Thurs and $125 Fri-Sun.